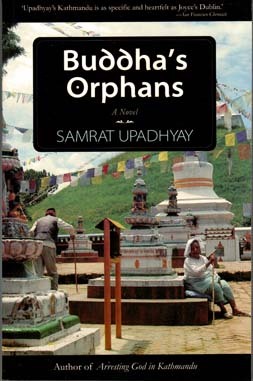 In 1962 Kathmandu, a baby boy, just a few months old, is abandoned by his mother who then takes her own life by drowning. The infant, picked up by an old man, Bokey Ba, takes the baby to a nearby lady, Kaki, a woman who sells grilled corn on the sidewalk. Finding no mother Kaki looks after the child, naming him Raja (king). She starts to raise the child as her own and does so until he is six year old. One day one of Raja’s customers, Kanga Da, offers her a servant job and a place to live so her son can go to school. For the sake of the boy Kaki accepts the position and housing. Raja’s presence in Ganga Da’s household soothes his disturbed wife Jamuna, leading to a close bond between Jamuna and Raja. Kaki becomes jealous, withdraws her son from school and leaves their home for another servant position at the home of Muwa, a lady who is recently widowed and often in a drunken stupor. Muwa’s four year old girl Nilu attends St. Augustine’s private school. Nilu and Raja spend much time together, playing and learning. Though two years younger Nilu takes charge of her and Raja’s activities. Her mother does not want her to play with a lower class child but Nilu ignores her requests. Raja runs away and shows up at Ganga Da and Jamuna’s house. Ganga Da realizes that it is only Raja’s presence that diminishes his wife’s crazy mood swings. Ganga Da bribes officials in order to get documents showing Raja to be their son. He and his wife raise Raja; he attends a government school. Several years later, Muwa’s drunkenness and detachment, along with a suspension from school, leads Nilu to think about Raja; she surreptitiously seeks him out. While teenagers Raja and Nilu become closer over several years and eventually elope, getting married at a nearby temple and setting up their own little household in a poorer area of the city without informing parents of their whereabouts. The landlady’s daughter-in-law, Bhairavi, is very good to the newlyweds and she and Nilu strike up a particulary strong friendship. Nilu and Raja are happy in their marriage amidst meager surroundings. Ganga Da needs Raja as his wife’s mental state leads to going in and out of a mental hospital while Nilu’s mother, with her erratic, untrusting boyfriend and alcoholic state, disapproves of her daughter’s marriage, further distancing herself from Nilu. Raja teaches school while Nilu unsuccessfully looks for work for quite some time until he briefly holds a job at a bookstore, and then lands an editorial job with possibilities for advancemet. Ganga Da offers to help the couple out but Raja and Nilu decline until after they have a baby who they name Maitreya. When the baby was two they move to a house Ganga Da had built and rented out for some time. Their boy died due to a fever and though Raja grieved openly Nilu went into a long state of grieving and depression. As part of her depression she keeps seeing images of their boy Maitreya. Raja and Nilu drift apart and Raja moves out and lives with a younger woman, Jaya, a singer and musician. Nilu stays depressed while her mother continues to live in a debauched state. Nilu finds out about Raja’s woman, becomes jealous, and eventually takes up with a man, Shiva, in order to use him as an instrument of revenge. With Nilu out for a walk she steers Shiva towards her husband’s and girlfriend’s apartment. The two couples find themselves having tea at Raja’s with the awkward, tentative exchange of the two couples waiting for disaster to happen. It does not occur but this scene ends Book I of the novel. The unsettling tea scene of the two "couples" quietly leads to a transformation of the estranged couple as Nilu and Raja get back together as husband and wife. 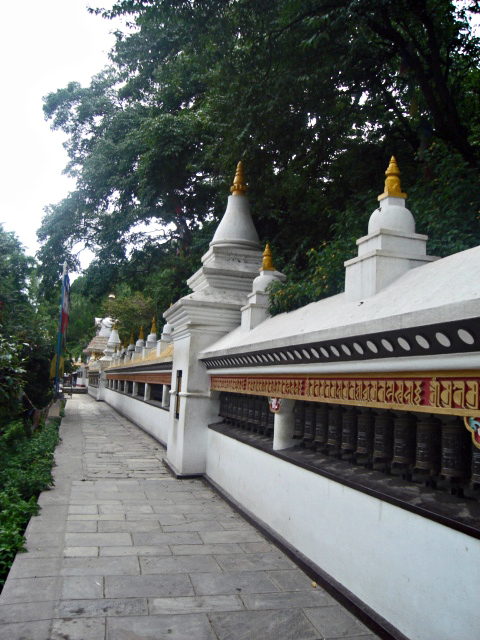 The reader finds this out in Book II which goes twenty years forward in time when Raja’s and Nilu’s daughter Ranjana is about to leave Kathmandu to go to college in America. They had learned to laugh about the separation period of their marriage and their daughter’s birth helped to heal their marriage. Raju admits to his wife that he has always thought of his birth mother, the mother he never knew. Nilu has sensed this all along, but now Raja has frequent vivid dreams about his natural mother. The story shifts to the telling of Raja’s Mother’s story. In 1961 Mohini, Raja’s Mother, had an older brother, Pradip Dai, who became estranged from his parents when he married a girl of a lower caste. Mohini’s parents would not let her see her brother and his wife, but she managed to sneak away to see them. Not wanting something similar to happen to Mohina, her Father made arrangements for Mohini to get married. On the morning of her engagement ceremony for the arranged marriage Mohini, feeling doomed, runs off to meet Yudhir, a young man she had previously met at her brother’s home. She considers running off with him to avoid the arranged marriage. The story again shifts back to Raja and Nilu in the present time. With increasing concern that they had not talked to their daughter Ranjana in school at Northwestern in Chicago they grow more and more frantic when they find out her roommates in college covered for her, saying she was at the library when they called her. She had moved out of the dorm months before and nobody knew where she was including an uncle in Chicago who had promised to look after her. Raja and Nilu consider flying to Chicago. Again, the story returns to Mohini. On her wedding day her parents gradually realize she is not there and a frantic searching scene, while trying to save face with the groom’s family, occurs. Meanwhile, Mohini and the young man Yudhir, who Mohini hardly knows but with whom she has had an intimate moment, leave the city on a bus and head towards his uncle's house in the country. An accident on a mountain road blocks the road and forces the passengers to get rooms in a town. While going to get cough medicine for Mohini’s struggle with a sudden coughing fit Yudhir instead gets a ride on a truck and heads back to Kathmandu. Mohini is abandoned by Yudhir on the same day she runs away from her arranged wedding, apparently pregnant with the later named Raja. In the present day story Nilu sends her husband off to America on a plane to search for their daughter Ranjana while she, on a hunch, believes her daughter is somehow back in Kathmandu. 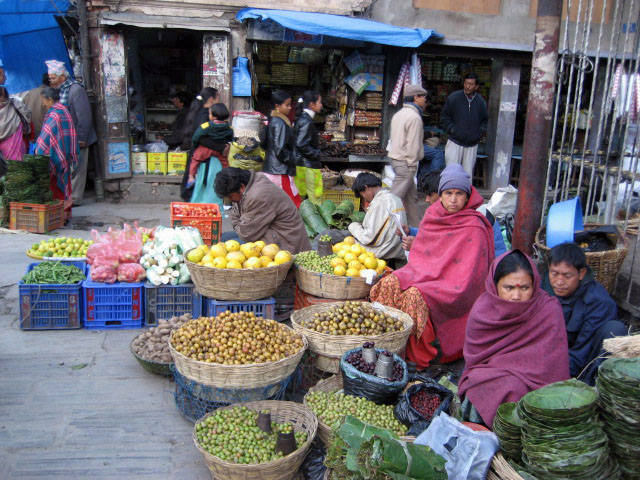 In a Kathmandu neighborhood a young woman in a black overcoat shows up at the place where Raja and Nilu first made their home; now it is an even more run-down place of rented rooms but Bahairavi, after her husband’s death and her grown up children moved away, rented upstair rooms. The woman in the black overcoat turns out to be a pregnant Ranjana who, near exhaustion and close to birthing, rents a room. She had gotten pregnant by a man in Chicago, a one and only passing relationship, and had dropped out of college. She did not tell Amos, the black father, of her pregnancy and they had no further contact with each other. Somehow, with her guilt, she could not make herself tell her roommates or her parents as she hid herself away until she flew back to Kathmandu when she was more than eight months pregnant. During the later stages of her pregnancy Ranjana, in her confused, isolated, and guilt-ridden state, had dreams and visions of a past she did not know, a woman glancing back at baby while she heads towards a pond and thrashes about in the water. Ranjani somehow thought and felt she was not living her own life. Meanwhile, Nilu, after frantically searching the city, finds her daughter at Bahairavi’s. She arrives not only to find her daughter Ranjani, but is there in time to help with the birthing of a baby girl. She is also reunited with a long lost friend Bahairavi. The girl, Kali, was raised in the household of her Mother Ranjani and of her grandparents Nilu and Raja. 1. Family, class, status or caste influence social relations. 2. Family history shapes relationships during youth and adulthood. 3. Creating your identity into and through adulthood is most challenging. profound impact on a person. with friends, acquaintances, or families. 8. Social expectations may create intense anxiety for individuals. 9. Amidst uncertainty and trials of living individuals may find hope and love. 10. The loss of a child may effect parents in different and long lasting ways. 11. A city and its neighborhood are intricately connected to the way people live. think you are being watched. 13. Families have a deep and long lasting impact on individuals. usually out of looking after their own self interest. and lose the trust of the young. “outsiders” to the rest of society. 18. People may reject or dismiss the very people that love them. 19. Dreams can reveal significant and profound insights into one’s own life. 20. The loss of one or more parent may have a significant and lasting effect on a person. 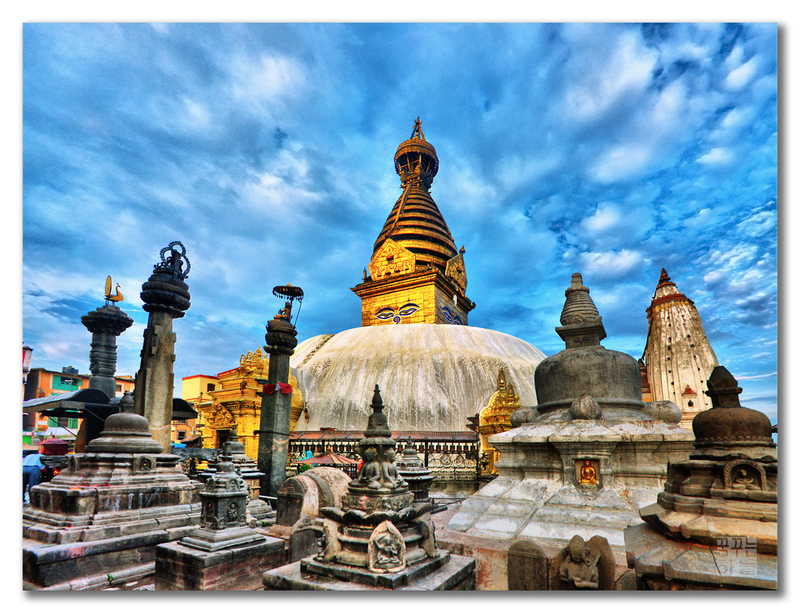 A new coat of saffron juice lotus petals are laid upon Bodhnath Stupa in Kathmandu. 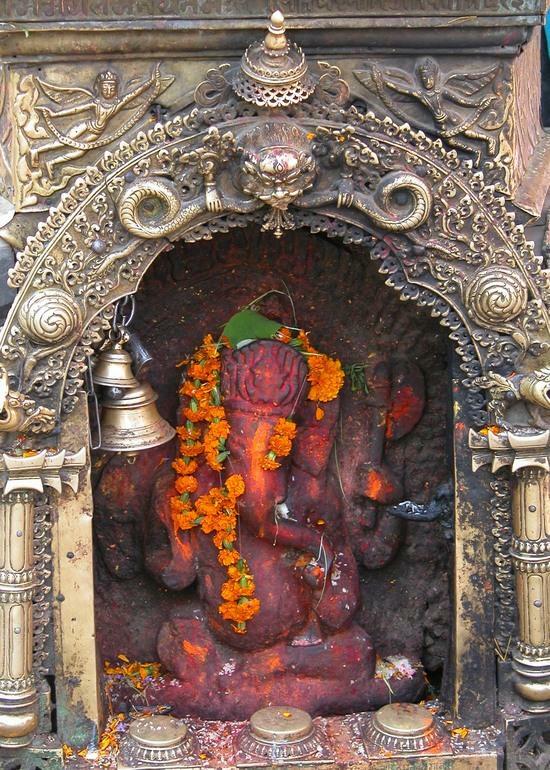 Religion, Customs, and Traditions Chapter 3 in Nepal: Culture Smart! 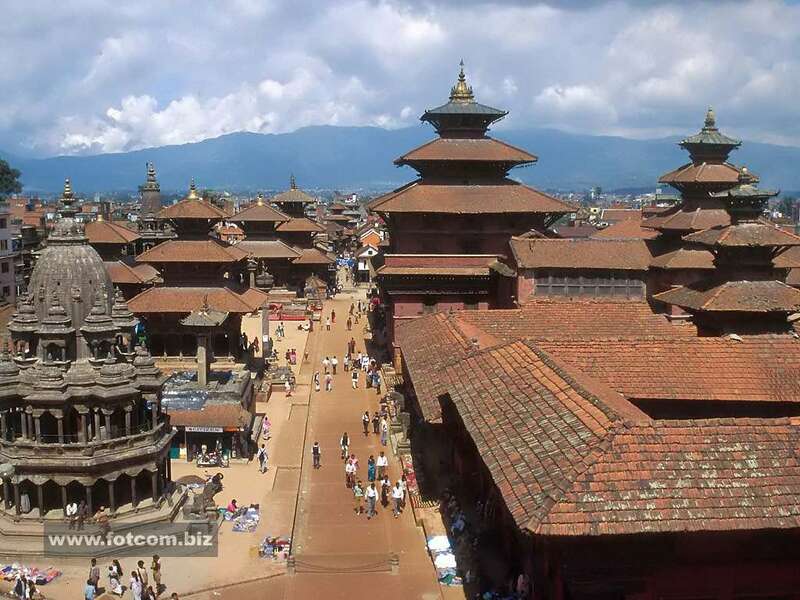 The Essential Guide to Customs and Culture (Random House, N.Y, 2008) provides a fine overview of Nepal's traditions, giving the reader a quick background to Kathmandu and Nepal. Upadhyay's novel will be better appreciated with some understanding of religion, history, and customs even though it can be pleasantly read without the additional knowledge. 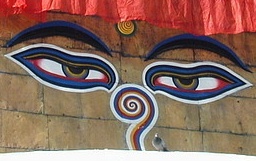 This site was created by Gerard Wollak at the NEH Summer Institute "Literatures, Religions, and Arts of the Himalayan Region," held at the College of the Holy Cross, Summer 2011.